We believe that every project is just a masterpiece waiting to happen. Whether you are looking for a spiral staircase, or a straight, curved, wishbone, or flared staircase- your project deserves an attention to detail. 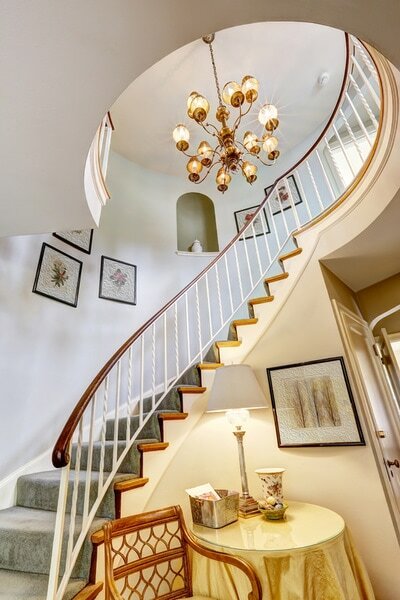 Every staircase has its own distinct flavor- eclectic, contemporary, elegant, or traditional. Our process begins with the highest quality of materials of available, whether you are looking for cables, wood, glass, or iron. 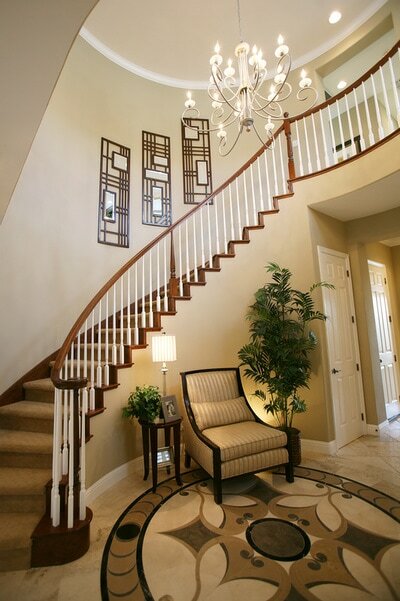 We can create a stair and railing system that uniquely fits the environment it will be placed in. We can build any concept, no matter what stage of construction you are in. Are you looking for a build from the ground up, or to modify an existing staircase? Do you already have certified blueprints? Because we can build from those. 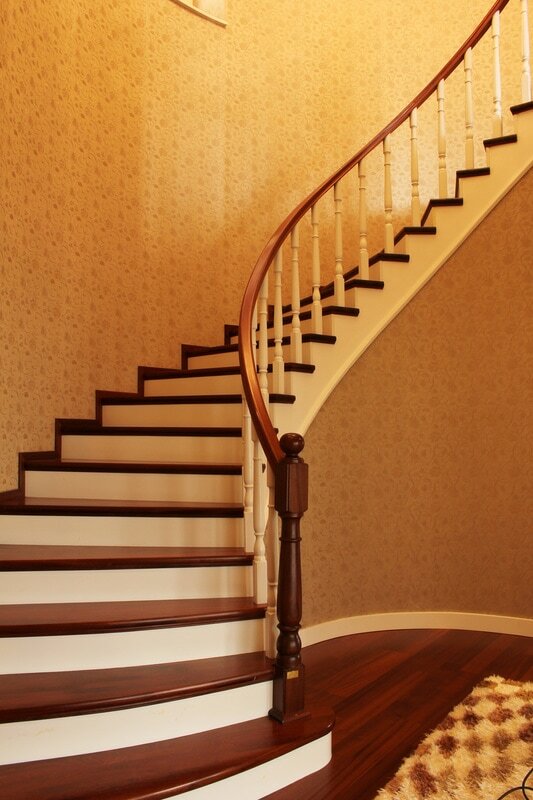 We create custom stairs and handrails for homeowners, retailers, and contractors across Long Island. If you are thinking about having new stairs installed, or designed, then we can offer you exactly what you want, and at competitive prices. Whether your home is a tract home, custom or remodeled, we can provide you with high levels of service and superior craftsmanship. We work with a variety of woods, and always use high-quality materials- we aim to make the design and installation process as simple and as smooth as possible. 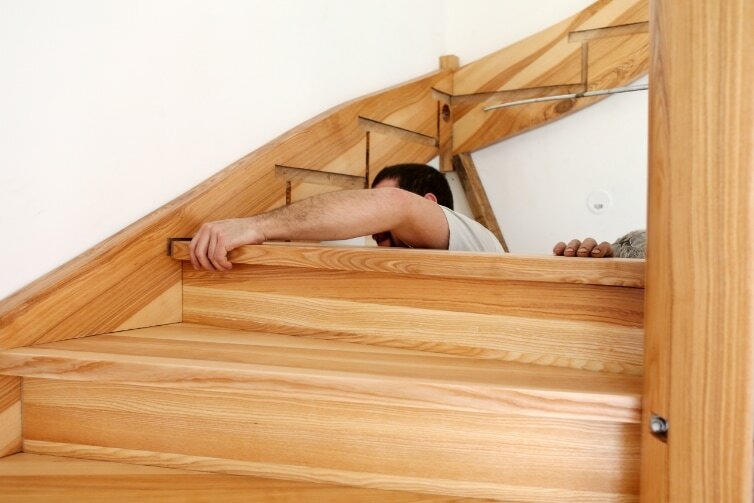 Our skilled technicians have extensive experience in building stairs and handrails, and can custom build yours to your exact needs and desires. 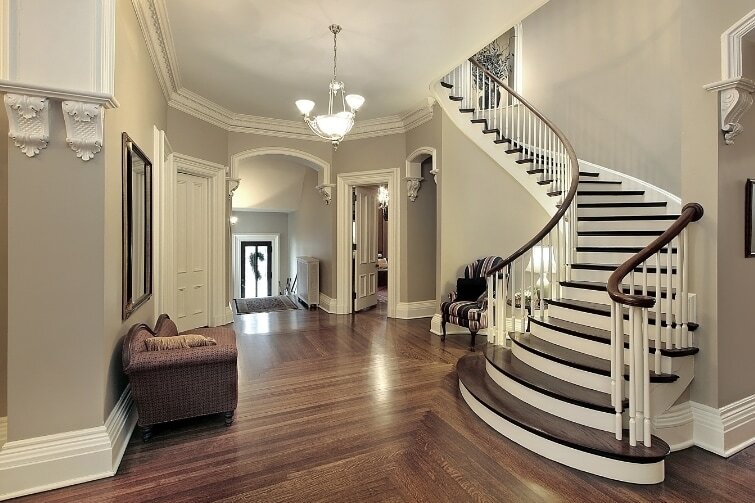 We provide spiral stairs, L-shaped stairs, wood stairs, curved stairs, handrails, and more. We can provide our services in residential homes, as well as commercial businesses. We provide our services at competitive prices while providing the highest possible levels of service and workmanship. We can also provide handrails to large companies with high volume projects. We work with our clients to create their own custom designed staircase that will fit their home, safely and attractively. The stairs can be as original as you are. We’re more than just carpentry professionals, we can advise you on a range of products. We can offer assistance through every step of your project. 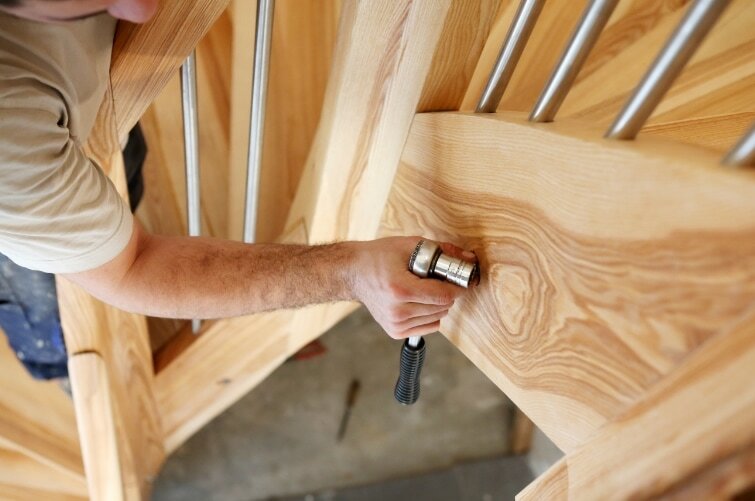 We don’t cut corners- all stair joints are bolted or glued, and fully fastened to ensure they are both sturdy and safe. We clean as we go to ensure that when work is finished at the end of every day, there are no risks to you and your family. We are fully insured, licensed, and bonded- we don’t hire subcontractors, we only use our own highly trained workers.